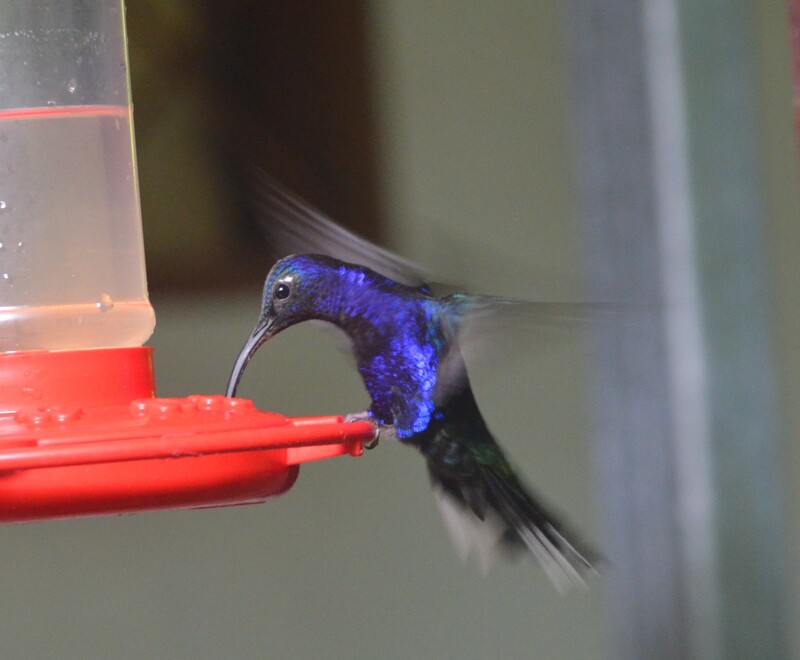 Monteverde, Costa Rica – Our week in Monteverde just flew by, and we barely scratched the surface on the cool things to do here. When I’m doing these gigs, we often rent a house, so we have a little room to spread out, including a kitchen (crucial) and a couple of bedrooms. 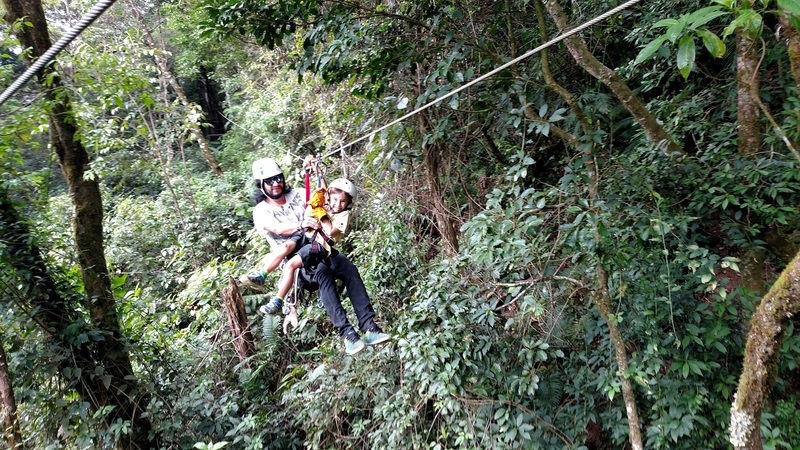 In Monteverde, we changed up the strategy by staying at Los Pinos Cabañas & Jardines. Formerly a family farm, now it’s a collection of cabins set on landscaped grounds, with walking trails, fruit trees and vegetable gardens at the guests’ disposal. We still had a kitchen and a couple of bedrooms, as well as tons of space to run around (and a playground). It was not as homey as having our own house, and Daddio lamented the lack of comfortable furniture. But the twins had friends to play with, the gardens made for great bird-watching, and it was a treat to have all those facilities just a few steps away. For the record, I think the animal exhibits are also worthwhile, especially the Ranarium (frog house). Apparently, it is best to visit after dark since most frogs are nocturnal. But we didn’t have the time or the energy for more than one activity, especially since the twins are decidedly NOT nocturnal (more on that later). Monteverde Butterfly Garden Of the many animal exhibits in town (there is also a Herpetarium, as well as a Bat Jungle which we visited on a previous trip), this is the one that was closest to our cabaña, so this is where Daddio took the twins one afternoon while I was working. 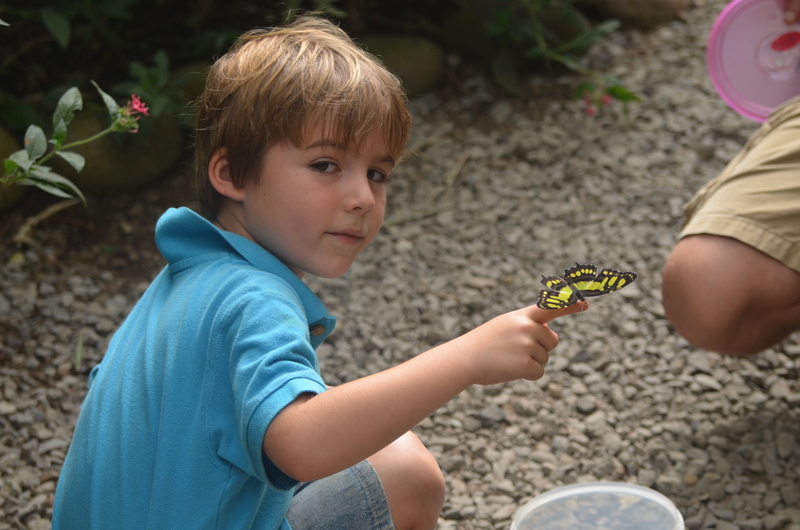 They saw many different kinds of butterflies, including the famous blue morpho and the fascinating glasswing butterfly. And they saw them at all stages: I think the highlight was helping the guide release the newly hatched butterflies into the garden. It’s not just butterflies though. The twins also learned all about the ruthless spider wasp and the tarantula it preys on (which I heard about in gory detail). And they traded scorpion stories with the guide (as they had just witnessed their mother get stung the day before!). Colibri Cafe The twins have taken to getting up in the 5 o’clock hour (yes, that’s before the sun, which I guess makes them crepuscular). One morning we decided to take advantage of their early rising by going to this cafe just outside the gates of the Monteverde Cloud Forest Reserve. The cafe has a small garden that is well furnished with hummingbird feeders, assuring a steady buzz of feathered friends. For a good hour, the twins had a front-row seat on all the activities and antics of dozens of hummingbirds. Better than television, for sure! Monteverde Waterfall On the road from Santa Elena to Monteverde, there is a small sign marking the turnoff for this one-mile hike down to a 30ft waterfall. 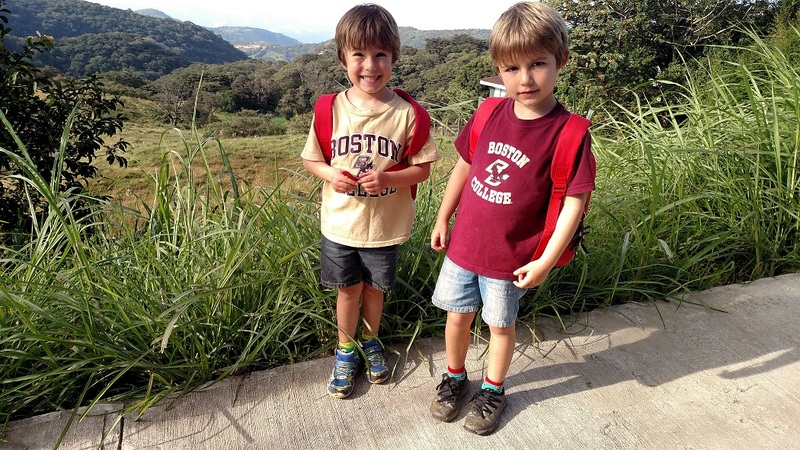 Again, there are certainly more strenuous hikes and more spectacular waterfalls, but this was just about perfect for a pair of 5-year-old twins. The trail features plenty of steep slopes and a few tricky water crossings, including one very perilous bridge. 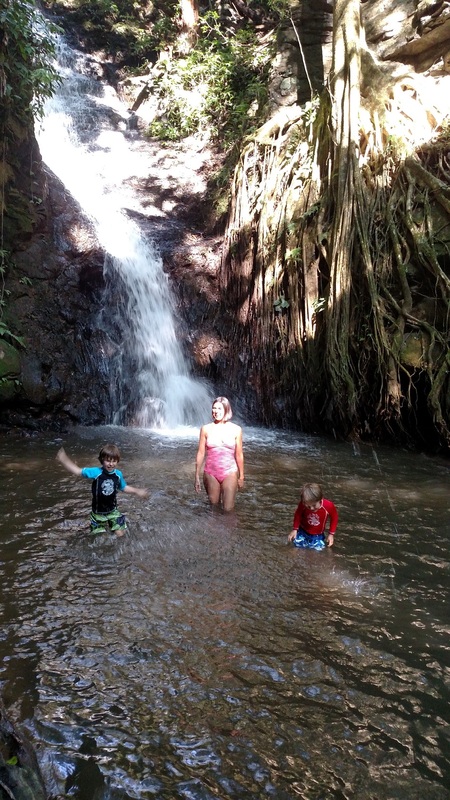 It ends at a picturesque waterfall, dropping into a sweet little swimming hole. The twins even found a “changing place” in the midst of the roots of a gigantic strangler fig. Not that they needed a private place to change — we had the trails and the falls completely to ourselves. We miss CR already. Wish we were there. Continue to enjoy. Of course! Daddio spent a morning there – working and watching birds – while V&S were at school.